Get ready for an energetic Easter Holiday! From 30 March to 28 April, Ngong Ping Village will be decorated with colourful and adorable Easter outdoor installations. Designed by young Hong Kong illustrator Messy Desk, you will find a creative, Easter-themed collection of fun decorations that reflect local culture. Three shows of Hong Kong Style Easter Egg Adventure are staged every day during the event period. Enjoy amazing dances and take pictures with our Easter mascots. Check out our free painted Easter egg workshop for families, too. Indulge in the joyous ambiance throughout Ngong Ping Village, as well as the all-new adventure that combines nature with fun. Say hello to our Hong Kong style Easter mascots – Stripey, Ping On Bunny and Maskie! They will bring you tips on getting the best dining, shopping and entertainment experience during Easter on Lantau island. Check them out at Ngong Ping Village and capture their delightful actions! Stripey’s patterns come from the iconic red-blue-white nylon canvas carrier bags of Hong Kong. He is a fashionista knows how to pose for the most eye-catching selfies! Ping On Bunny is a natural-born gourmand from Cheung Chau. He will show you the most wonderful delicacies of Ngong Ping! 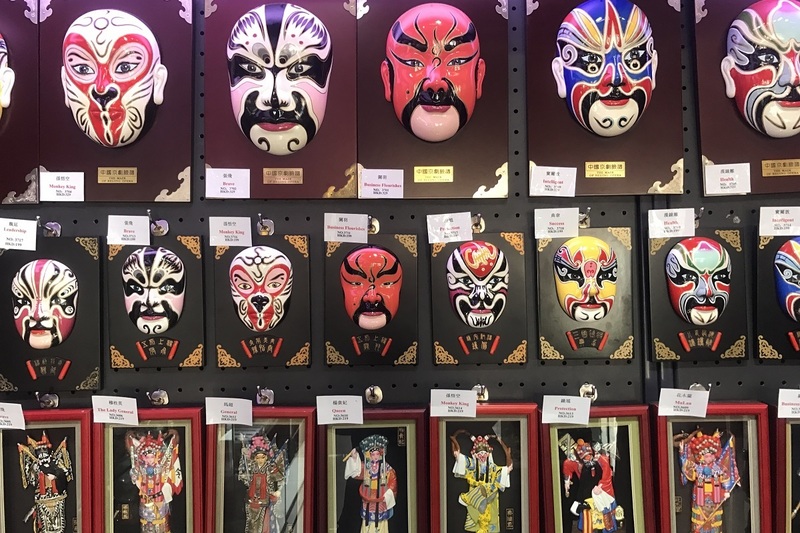 Maskie represents the painted faces of Cantonese operas – a performing arts genre that is packed with Hong Kong flavours. As an entertainer, he will show you some lovely dances! This Easter, Ngong Ping Village has teamed up with local illustrator Messy Desk to bring you a unique collection of Hong Kong style Easter egg decorations. This is the first stop of the Easter Eggs’ adventure. Don’t forget to take some festive selfies here to share through your social media! The Easter mascots are ready to embark on their adventure in Ngong Ping Village. They will be joined by three dancers in their joyous performances and pose for your pictures. Unleash the creativity of your children at our free Easter egg painting workshop. Enjoy some quality family time as you paint and complete your very own Hong Kong style Easter eggs together! Please register for the workshop at Holidays 360. 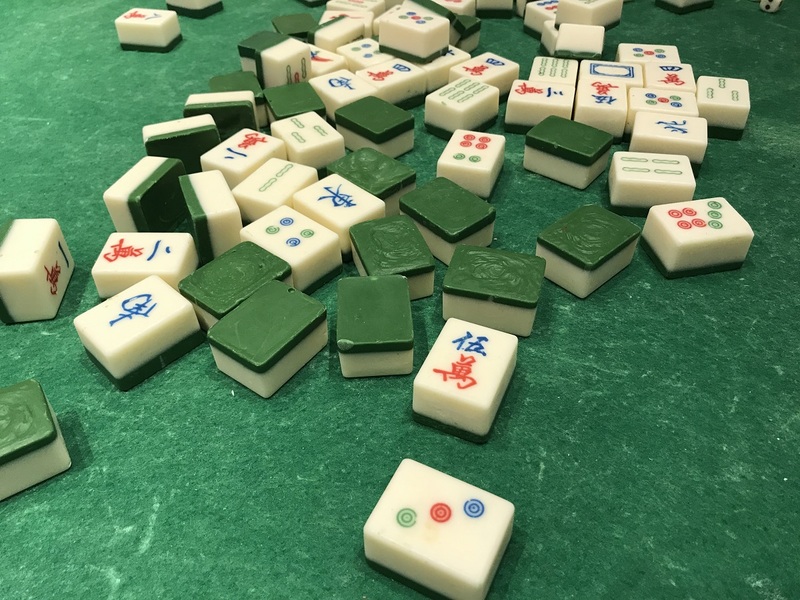 Like or follow any social media page of Ngong Ping 360 (Facebook or Instagram) from 30 March to 28 April to redeem a HKD 5 cash coupon for spending with a Ngong Ping Village tenant. Let’s enjoy some shopping and dining on Lantau island! Like or follow any social media page of Ngong Ping 360 (Facebook or Instagram) and present the liked / followed post to a Ngong Ping 360 staff member at Holidays 360 to redeem a HKD 5 cash coupon. Quota applies. Coupons are available on a first-come, first-served basis, while stock lasts. *The offer is subject to terms and conditions. Quota applies, while stock lasts. A large variety of Easter and Hong Kong style souvenirs are now in store at Ngong Ping Village shops. Visit Peking Opera (Shop No. 16B) for Cantonese opera masks, or Hong Kong Love Souvenir Shop (Shop No. 24) for striped and ping on bun products. Have fun shopping! Ngong Ping Village has a wide selection of delectable eateries to choose from. At Zen Noodle Café (Shop No. 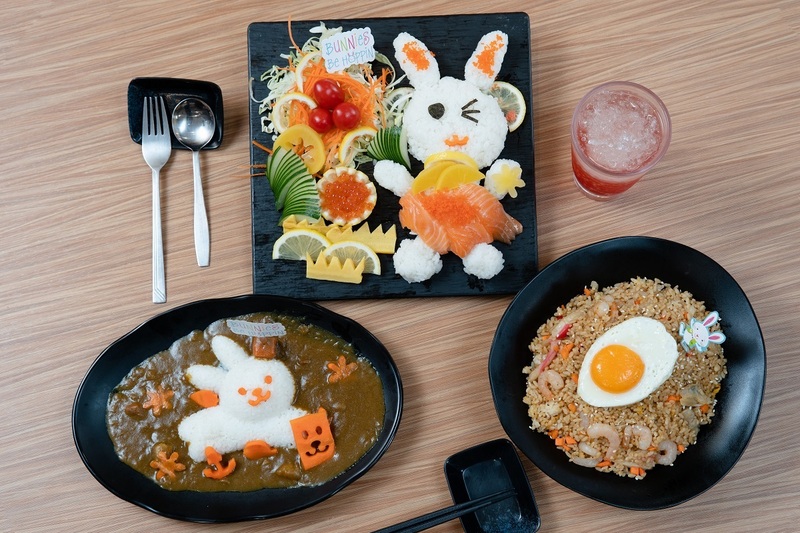 2), dishes styled with Easter bunnies will undoubtedly delight children. 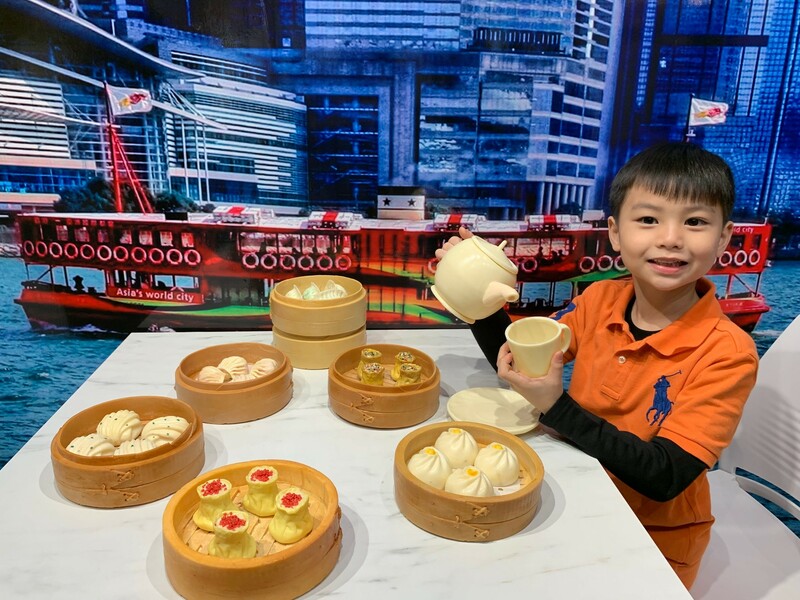 Wo Kee Loong Snacks Express (Shop No.1), on the other hand, will be loved for the egg puffs, waffles and other nostalgic Hong Kong snacks it offers. Chocolate Art Museum Hong Kong(Shop No. 12) is a fantastical world themed around chocolate, featuring hand-crafted scenarios full of Hong Kong character. In addition to looking around and taking selfies, guests can also enjoy chocolate tasting, performances and take part in DIY workshops. This is an all new experience not to be missed! Pictures shown are for reference only. The above schedule is subject to change and/or cancellation without prior notice. Ngong Ping 360 Limited reserves the right to modify the terms and conditions without prior notice. In case of any disputes, the decision of Ngong Ping 360 Limited shall be the final. For more information and enquiries, please call the Guest Service Hotline of Ngong Ping 360 Limited at (852) 3666-0606. Workshop quotas are applied and on a first-come-first-serve basis. Pre-registration is required for the workshop. Each person should register only once. Promotional period is from 30 March to 28 April 2019. The cash voucher is only applicable from 30 March to 28 April 2019. No extension with overdue voucher. Quotas are applied on the cash vouchers and on a first-come first-served basis while stock lasts. Participants have to complete the designated steps and present it to the staff at 360 Holidays to redeem the cash voucher. Only 1 cash voucher can be redeemed per person per day. The mentioned offer is only applicable in all merchant and F&B shops at Ngong Ping Village. Cable car tickets, packages or tours are not available for the offer. Only ONE cash coupon can be used per transaction. This cash voucher will be collected after redemption. This cash voucher is non-transferrable and non-redeemable for cash or any services for the whole or part of the face value. This cash voucher cannot be used in conjunction with other discount or promotion offers. Photocopies, damaged, altered or defaced vouchers will not be accepted. No replacement, refund or extension will be allowed with any loss, stolen, damaged or overdue of the voucher. Photos uploaded within the promotion period may be selected and shared on Ngong Ping 360 social media platforms. Employees and their immediate family members of Ngong Ping 360 Limited and Tenants of Ngong Ping Village are not eligible for this promotion. In case of dispute, the decision of Ngong Ping 360 Limited and the tenants shall be final.